The firm will start work on the $1.82-million-a-year account on August 1. PadillaCRT was the incumbent on the business. NEW YORK: Spain’s Rioja region has hired Finn Partners to give consumers in the U.S. and Canada a taste for its wines. The agency will begin working with Rioja as its PR AOR at the start of next month. The firm was selected in June after an RFP process that began in April. Incumbent PadillaCRT was among the firms that pitched for the business. Finn will work with the Rioja Consejo Regulador, or its control board, to enhance the region’s brand. The control board is in charge of fostering and controlling the quality of Rioja’s wines, promoting the region, and defending the interests of its wine sector. Ricardo Aguiriano, ‎global marketing director at the Rioja control board, told PRWeek via email that Finn "brought together a combined team consisting of substantial wine and beverage industry expertise and the addition of key members of the agency’s travel practice who knew the Rioja wine region well." Finn senior managing partner Richard Funess told PRWeek that Rioja was seeking an agency with a strong New York presence and global capabilities. The firm’s responsibilities will include handling all PR, marketing, digital, advertising, and media buying for Rioja. In its first six months on the account, Finn Partners will focus on increasing top-of-mind awareness of Rioja wines among the media and consumers, as well as amplifying trade communications by developing a digital communications platform. It will focus on trade and retail relations in major U.S. and Canadian markets. The region’s main demographic target will be older millennial women, whom Funess referred to as "the most powerful buying demographic for wine." In the trade sector, the agency is charged with increasing distribution among wholesalers, retailers and restaurants, Funess added. 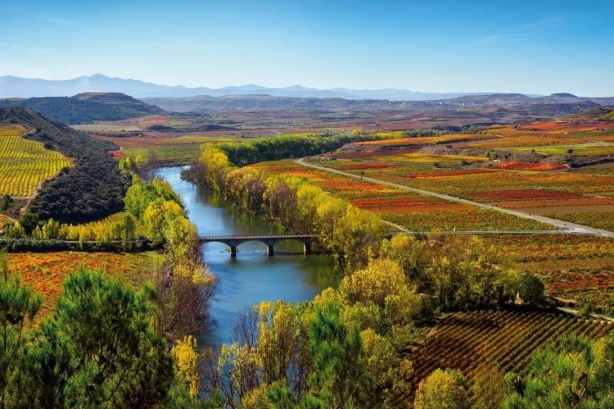 "Rioja has done a good job over the past 10 years of establishing the brand, but now they want to expand it even more in terms of refining it and working to bring it all together under one creative theme," said Funess. "On the consumer front, our objective is to continue to increase awareness and demand for the wine, and sell more wine in the U.S. and Canada." Agency partner Cindy Coppola will lead a team of eight staffers on the account from its New York office, and she will bring on individuals from the firm’s network as needed. Three members of Rioja’s trade team, including trade director for North America Ana Fabiano, will be based in Finn Partners’ New York office. The contract will run for three years, with a budget of $1.82 million per year. A decade ago, PadillaCRT predecessor Patrice Tanaka & Co. launched Rioja’s marketing program in the U.S. Since then it has achieved one of the highest rates of recognition and brand awareness among consumers and the industry, according to Aguiriano. "Although our award-winning work drove an increase in Rioja sales in the U.S. that was more than double the imported wine industry average, sometimes we all need a change," said Lynn Casey, PadillaCRT CEO, via email. "We were contacted by several competitors as soon as word got out and have already begun to replace our revenue in this category." This story was updated on July 28 with comment from Casey.